Zowie has established a fanbase of gamers who swear by its peripherals, and now under the stewardship of BenQ, the firm has the resources to capture a much larger slice of the competitive gaming market. It's a brand with potential, so we've teamed up with Zowie to give you the chance of winning a bundle brimming with gaming goodness. Up for grabs in our latest competition is a ZA Series gaming mouse, a TF-X Series mousepad, a Camade cable-management device and a 27in RL Series e-sports monitor! A fantastic collection of hardware, and all you need to do to be in with a chance of winning is answer the following simple question. And don't forget, you can also claim a free second entry via Facebook to increase your chances! The competition winner will be picked at random from all eligible entries that arrive by 22:00 GMT of the closing date, July 29, 2016. The winners will be notified via email by August 5, 2016. The winner must claim their prize within 7 days of the promoter sending notification. If the prize is unclaimed after this time, HEXUS reserves the right to offer the unclaimed prize to a substitute winner selected in accordance with these rules. The prize is a Zowie gaming bundle consisting of a ZE Series mouse, a TF-X mousepad, a Camade cable-management device and a RL2755 27in monitor. Gigabyte launches the Aorus M2 Gaming Mouse at £21.99 Windows 10 updated to enable USB 'Quick Removal' default Benq EX3203R 144Hz QHD gaming monitor launched QOTW: How do you like your PC monitor: flat or curved? 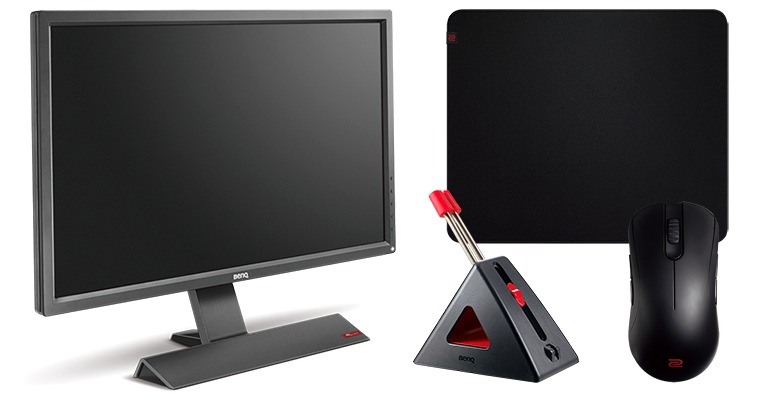 QOTW: PC monitors - high resolution or high refresh? Never heard of them before, except the parent company. (I won't give away the answer that easy!). I'd like to give their products a try, for free of course. Thanks for another great competition Hexus.